The 1/2 in. OD Flare x 1/2 in. FIP Brass Gas Ball Valve is safe for use with liquified petroleum gas, LP gas and air mixtures. 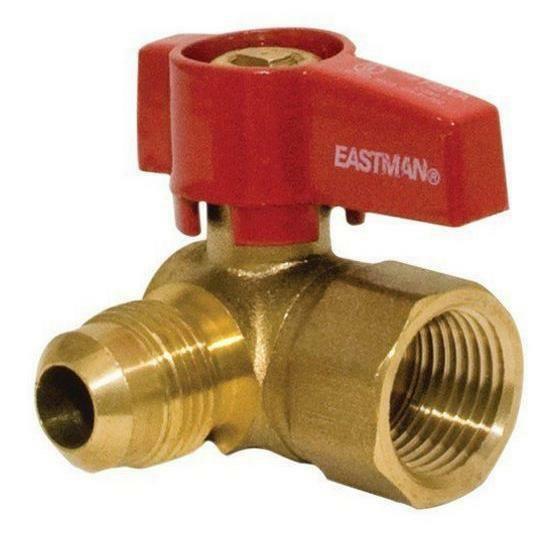 The gas ball valve is made of brass construction and the valve is angled for making connections at 90°.